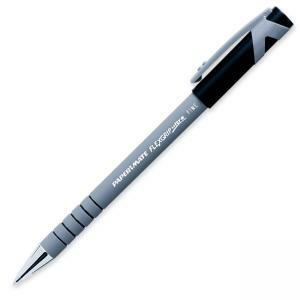 Flexgrip Ultra Ballpoint Pen features a comfortable rubberized barrel with gripping rings for secure handling. Lubriglide ink provides smooth writing and bold, vivid lines. Refillable.